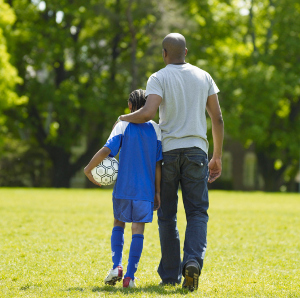 An overwhelming body of research shows that parents and families are crucial to successful youth development. Juvenile justice systems should strive to include family members as partners. Systems should also include formalized opportunities for youth and family input on programs and policies. Involved adults are necessary to keep young people active in their own rehabilitation. Efforts should be made to maintain and develop healthy connections between youths and their communities. Systems and communities should recognize that strong community ties frequently help foster a sense of belonging. Communities should also be mindful of the benefits that youth receive from positive role models and strong support networks. 1 See The National Academies Press. Community Programs to Promote Youth Development. p. 1. 2002; J.D. Hawkins and R.F. Catalano, Jr. Communities That Care: Risk-Focused Approach Using the Social Development Strategy: An Approach to Reducing Adolescent Problem Behaviors. 1993.